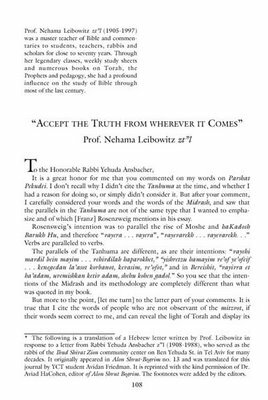 This interesting thread on Hirhurim led to a mention of a letter written by Nehama Leibowitz on the theme of accepting the truth from those who speak the truth. 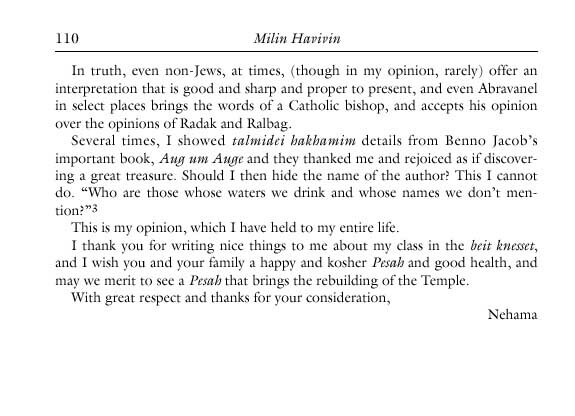 That letter was translated by Avidan Freedman in YCT's journal Milin Havivin vol i. 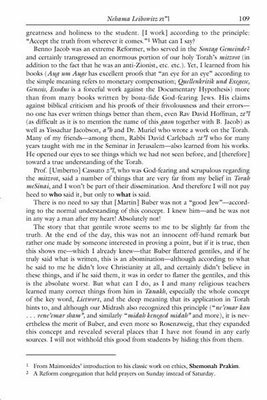 Although I admit that I have no authority to do so, here is the letter, as well as a PDF of the article itself (as opposed to the entire journal, which you can also download by clicking the link above). 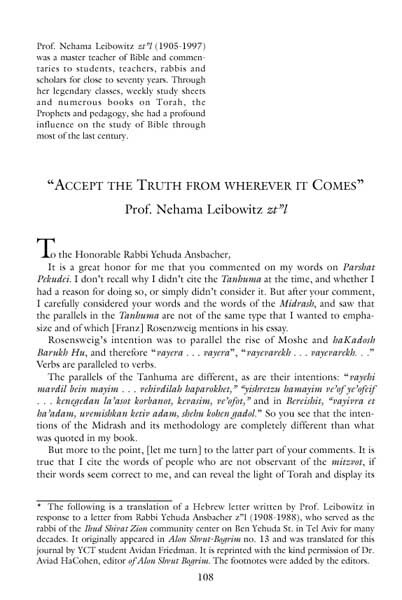 I will remove it if the proper authority should ask me to. 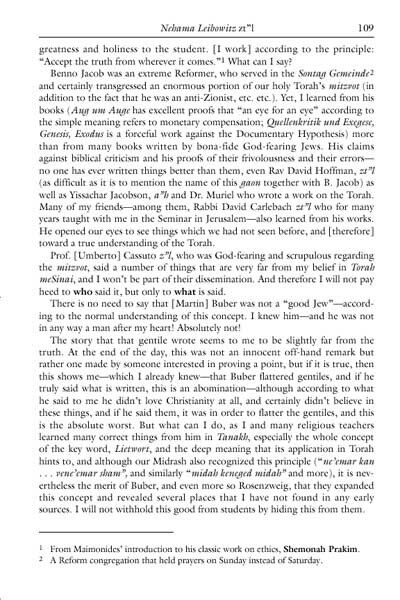 Note the references to Benno Jacob, Martin Buber, Umberto Cassutto etc. 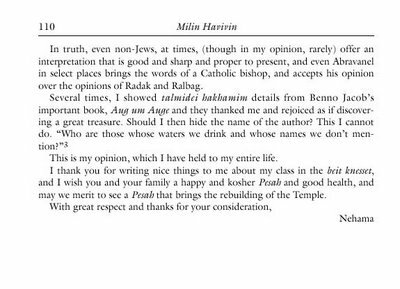 How did Rava pronounce Hebrew?